he Siamese cat is one of the oldest domestic cat breeds. It comes from Thailand, then known as Siam. This exquisite feline was bred as royal cats, and only Buddhist monks and members of the royal family could own one. 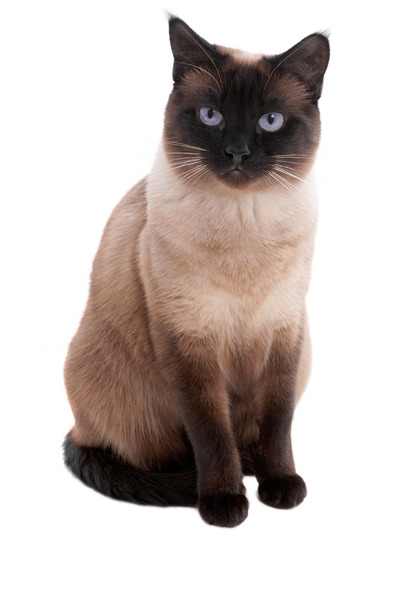 Long and lean with enchanting deep blue eyes, the beautiful Siamese has a distinct colour point pattern. It is a medium-sized, athletic feline that loves to play fetch and even get into mischief. It is curious and intelligent, albeit demanding. In fact, the Siamese breed is one of the most vocal domestic cats. This rather dog-like kitty loves human company and is good with children. The Siamese was first documented between the 14th and 18th centuries in the Tamra Maew, which translates to “The Cat-Book of Poems”. Originating from Thailand, this feline was called by the locals as the wichienmaat and was considered sacred. It was so revered that only members of the royal family and Buddhist monks were permitted to own one. As such, this fine feline was bred as royal cats. The Siamese cat was also utilized as Buddhist temple guards. It was only in the late 1800s that it reached the West. Siamese royals began giving them as gifts to dignitaries. In 1878, the first recorded Siamese to land US shores was given to the American president, Rutherford B. Hayes. In Britain, the first ones arrived in 1884, after the British Consul-General stationed in Bangkok brought it over as a gift. The feline present, a breeding pair named Mia and Pho, was given to his sister, Lilian Jane Gould. She would later co-found the Siamese Cat Club nearly 20 years later. The Siamese has since achieved recognition from various cat breed organisations and grew in popularity. A natural breed, it later became a parent breed to other feline breeds, such as the Balinese, Tonkinese, Oriental, and the Havana Brown. In the 1950s, a number of breeders began to prefer the rather slender type. Such a variety was then developed—fine-boned, long, and narrow-headed, with a very long and lean body. Its ears were set wide and were very large in size. Its legs were very slender and tail very thin and long. This new type is now known as the Modern Siamese. The Traditional Siamese cat had an apple-shaped head and a rounder body. Siamese cat types generally consist of these 2 lines. The elegant and striking look of the Siamese makes it instantly recognisable. It has a medium-sized and athletic body that can weigh anywhere from 5 to 12 lbs. This cat has a wedge-shaped head, which is narrower in the Modern Siamese variety. It is rather rounder or apple-shaped in the Traditional type. Its slanted almond-shaped blue eyes are mesmerising and have an alert, intelligent look to them. Some Siamese may have cross-eyed peepers, which is considered a defect. Its profile is straight, with a level bite. It has large, pricked ears that are wider at the base. As mentioned, the Siamese cat has a long and svelte body, with legs beautifully proportionate to its slim frame. The back legs are longer than the front legs, and its oval-shaped feet are small. The standard breed has a straight and tapered tail. A kink is considered a defect. This cat’s short-haired coat, its most distinctive feature, generally comes in 7 colour point variations. They are seal, chocolate, blue, lilac, red, tortie, and lynx. The rest of its body is of a lighter hue with some shading on its back. Its head, ears, tail, and feet are the only parts with the contrasting colour. The colour contrast is due to an enzyme that triggers the development of the darker hues on the cat’s extremities. The enzyme is activated in cooler temperatures. As such, the parts of the cat that are cooler are darker while the warmer areas are pale. Siamese are born white but later develop its colour points. The Siamese coat is easy to maintain and will only require weekly brushings. The Siamese cat personality is an amusing one. It is a curious and intelligent cat. It likes to explore and check out new hiding places. It can even enjoy watching TV. It is also an affectionate pet and loves to play. It can engage in a game of fetch and enjoy walks on a lead, thus its reputation for being a dog-like cat. It can be taught tricks and relishes engaging with puzzle toys. This kitty has this bright, quizzical look in its eyes, especially when it talks. It vocalises much and can be quite the demanding house mate, and will not hesitate to let its human know about it. It likes to be around its family as much as possible and be the centre of attention. It is good with children and other animals, making it a great family pet. Being a social feline, the Siamese do not like to be left on its own for long. It needs to be entertained so that it will be less likely to get into mischief. A second pet can help owners who are constantly away at work keep this kitty company. The Siamese cat should be fed a high quality diet that fulfils its nutritional requirements. It should be consistently given the same food following a set schedule. Changes to its food intake must be done gradually to prevent digestive problems. As a kitten, it should be given food with much protein and fat to support its growth. As an adult, its diet should consist of about 40% fat and 25% protein, with vitamins, fibre, and omega-3 in varying percentages. Small frequent meals help the Siamese stay healthy. The food portions depend on its weight, age, and activity level. 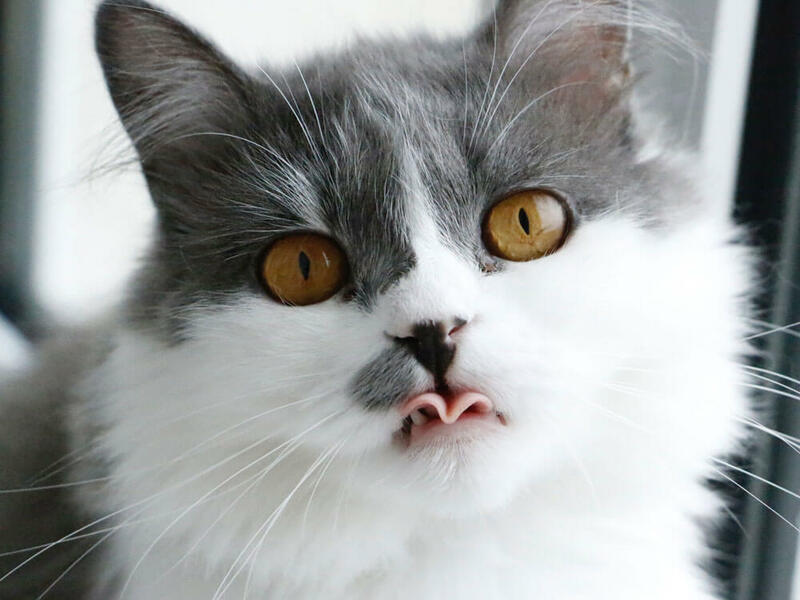 As an energetic and playful feline, this breed needs to be engaged in play and interaction with humans or other animals. It needs much attention and mental stimulation to keep it on the right track. 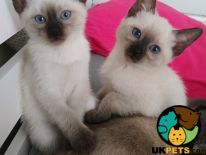 In acquiring a Siamese, expect to spend £400-500 for a well-bred kitten. Insurance costs are £16 (basic) to £29 (lifetime) a month. For food, prepare to spend about £15-£20 monthly. For vaccinations, boosters, annual checks and other veterinary costs, pet care costs may total no less than £500 a year. Monthly, a Tonkinese owner will spend about £40-£60 monthly. The insurance costs can also impact the expenses. For its lifetime (14-20 years), the costs can be as low as £6,720 to as high as £14,400 annually. Is a Siamese Right for You? The Siamese is a very affectionate pet who loves its humans. It loves to play and enjoys a game of fetch. When bored, this intelligent and curious feline is prone to getting into mischief. It likes to be involved in its home’s activities and will vocalise a lot. It is likely to be affected by separation anxiety. Grooming requirements are minimal. Once weekly brushings is enough.